Columbia South Carolina Houses for Rent – Why rent when you can own? Just wanted to say Thank You! Luke and his team at SC Property Advisors were very professional all the way through the process of buying my house. I no longer live in Columbia and they made it easy for me to get rid of my property. I had it listed and couldn't get it sold and was ready to let the bank just take it. I could not be more grateful that I didn't. 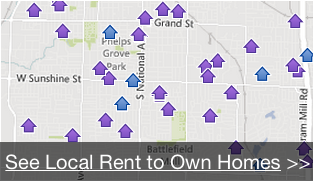 LEGAL DISCLAIMER: Rent To Own refers to properties for sale with lease-option financing. This site does not charge for rental listings and is not a Pre Paid listing Service. Terms of credit during rental period dependent on agreement with homeowner. Terms of credit may affect ability to qualify for home loan at end of lease period.